Do-it-yourself (DIY) research platforms, such as SurveyMonkey, Qualtrics, Google Survey, and Tableau are disrupting the marketing research industry. DIY platforms changed the supplier side of marketing research by democratizing the research process. This democratization should prompt a shift in the marketing research curriculum so that our students remain competitive on the market. Expert researchers are no longer the ones writing and analyzing surveys; instead they are conducted by DIY researchers. Using two exploratory studies, we examine both the current curriculum and the skillsets desired for entry-level candidates. In our first study, we collected and coded 86 undergraduate marketing research syllabi to gauge the content taught in the classroom. 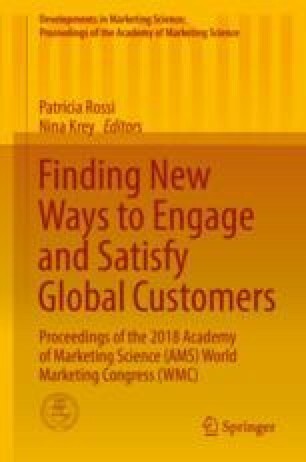 We find that most classes are not preparing DIY researchers and are instead continuing to prepare traditional marketing researchers. The major difference in these two classroom types is that the DIY researcher needs more practice writing and administering surveys because she will most likely work on the client side of marketing research and will not be surrounded by survey experts. However, traditional marketing research classes are much more analytically focused and are preparing students to work in legacy marketing research firms. In our second study, we collected and coded 479 entry-level job descriptions in the USA to examine skills desired by firms seeking marketing researchers. We find that most courses are preparing their students as traditional marketing researchers and not as DIY researchers. Additionally, we find that DIY researchers are often marketing managers who manage research projects, but only as a small fraction of their total job duties. We discuss the implications of these findings and offer a reengineered syllabus. For the marketing research course to respond to the seismic shift in the marketing research industry spurred by digital disruption, the course itself must change. We believe that the instructor should decide the course design (i.e., DIY researcher or traditional researcher) after examining marketing major job placements and deciding what fits their school’s model best. A course that supports the DIY researcher must have more time devoted toward survey development, report writing, and managerial recommendations. A course for the traditional marketing researcher should continue with the same path (i.e., SPSS, applied client project).